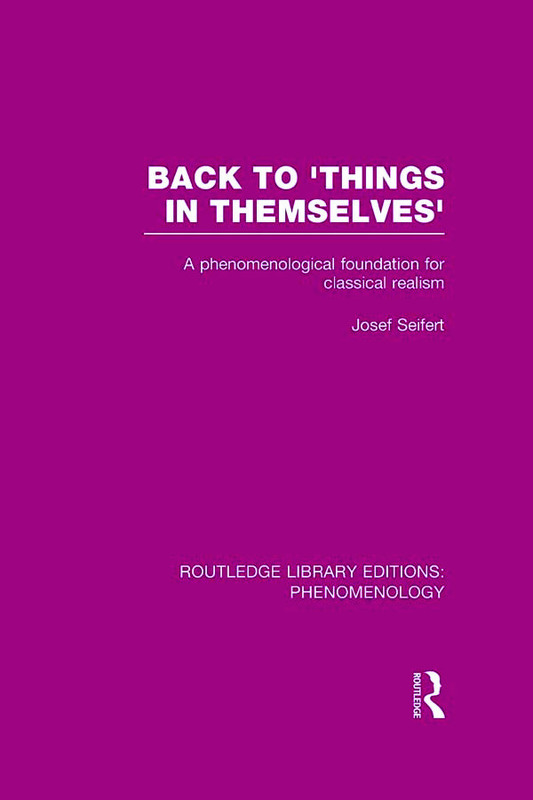 In an enlightening dialogue with Descartes, Kant, Husserl and Gadamer, Professor Seifert argues that the original inspiration of phenomenology was nothing other than the primordial insight of philosophy itself, the foundation of philosophia perennis. His radical rethinking of the phenomenological method results in a universal, objectivist philosophy in direct continuity with Plato, Aristotle and Augustine. In order to validate the classical claim to know autonomous being, the author defends Husserl's methodological principle "Back to things themselves" from empiricist and idealist critics, including the later Husserl, and replies to the arguments of Kant which attempt to discredit the knowability of things in themselves. Originally published in 1982, this book culminates in a phenomenological and critical unfolding of the Augustinian cogito, as giving access to immutable truth about necessary essences and the real existence of personal being. Analytical Table of Contents. Preface Part 1: The Classical Principle of Phenomenology: "Back to Things Themselves" Part 2: The Cogito and Indubitable Knowledge Part 3: Objective Knowledge of "Things in Themselves"
Reissuing works originally published between 1959 and 1995, Routledge Library Editions: Phenomenology offers a selection of scholarship covering this important branch of philosophy. Volumes cover theories of Husserl and Heidegger, and branch out to such topics as psychology, Marxism, language and emotion, and education, forming a varied and informative collection of previously out-of-print works.